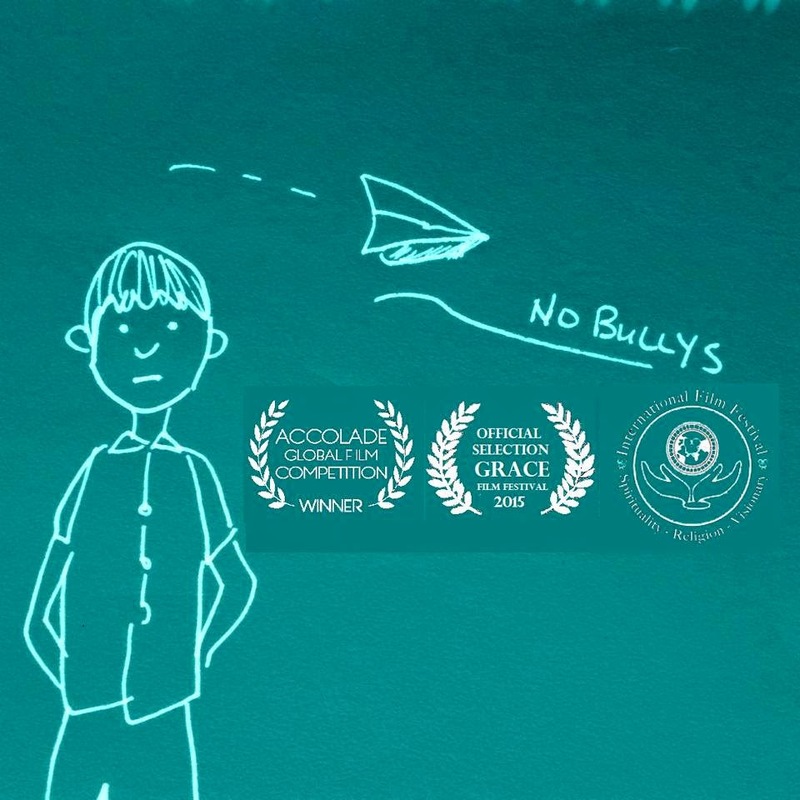 This film is an illustrated documentary about Zander Keig, a man who was presumed dead in the womb, assigned female at birth, paralyzed at age six, put in a mental hospital as a teen, joined a Mexican gang in middle school, dropped out of high school, enlisted in the military, became an undercover narcotics agent, obtained three graduate degrees and is now a social worker serving homeless veterans at the Department of Veterans Affairs. Zanderology goes beyond telling people that it gets better and humorously explains how one person changed their life in almost every way possible. (Filmmaker: Megan Rohrer, 2014, TRT: 33:10). Episode 101: Before the Mental Hospital is now available on DVD and through Amazon and iTunes digital download. This is not short that has been screening at film festivals - this is a many episode illustrated aural history about the life of Zander Keig. The illustrations are done to decrease the amount of pondering people do about what Zander looked like before transition. It's broken up into episodes, because Zander's life is intense and people should take time to process bits of it before they move on to the next. Living in a binge watching world, I've decided to release the episodes separately to decrease the amount of binging. Enjoy. ​Long Beach, CA: Dates: October 3 & 4; Location: Cultural Alliance Long Beach (CALB), Long Beach, CA. Philadelphia, PA: Dates: October 4 & 5; Location: The Rotunda in Philadelphia, PA.
Omaha, NE: Date: October, 19; Location: Joslyn Art Museum, Abbott Lecture Hall, Omaha, NE. Minneapolis, MN: Dates: Sept 19 & 20; Location: Regis Center for Art (Influx), Minneapolis, MN. Durham, NC: Dates: September, 19 & 20; Location: North Carolina Central University, Micheaux School of Education, Durham, NC. A project by the co-editors of Letters For My Brothers: Transitional Wisdom in Retrospect (a finalist for the Lambda Literary Award). I chose to use cartoons to accompany Zander's narration, not because I'm the most amazing artist in the world. Zander has almost always looked and dressed the same (aside from a few mullet years) and I wanted to avoid the sensationalism and oversexualization that childhood photos sometimes create in stories about trans folk. This is just one of the many choices that make this film different than other trans themed documentaries you may have seen. Zanderology is not meant to be a trans 101. 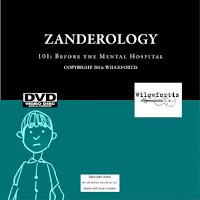 Zanderology is so much more that, it presents Zander as a fully rounded person - whose transitions in life have been about so much more than hormones or surgery. As I was looking over the footage from Zander's story and trying to decide what to share, I thought about sharing the tales of his professional psychic mother's illegal side projects, how Zander transitioned spiritually, or Zander's heartwarming reflections about how he inherited his drive from his father. The clip above is a small part of the story of Zander's almost decade long transition from a self professed dyke who participated in the Lesbian Avengers to a trans man. If you want to hear all the details of that transition, you'll have to wait for the film. But, for now, I wanted to share with you a bit of the end of the story. The joy Zander expresses in talking about the experience of being a man is palpable. Certainly, it's a familiar "it get's better" kind of tale. More importantly this film never apologizes for or tries to rationalize any of Zander's transitions. Zanderology is being made into a film!!! Funding being sought via Kickstarter. Does "Zanderology" has English subtitles? Megan Rohrer is a nationally recognized LGBTQ faith leader, historian, writer, homeless advocate, community organizer and speaker. 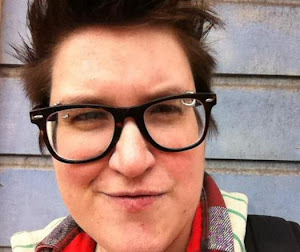 The first openly transgender pastor ordained in the Lutheran church, Megan was awarded an honorary doctorate from Palo Alto University, won Out History's Since Stonewall Local Histories Competition and co-edited Letters For Our Brothers: Transitional Wisdom in Retrospect, which was a finalist for the Lambda Literary Award in transgender nonfiction.